WASHINGTON (IPS) – The United Nations’ food aid organisation, the World Food Programme (WFP), said on Jul. 1 that up to 440,000 refugees from war-torn Syria might have to go hungry if no additional funds are received by August. WFP, the world’s largest humanitarian agency dedicated to fighting hunger, provides food every month to nearly six million people in need in Syria and the surrounding region. “Every time we take one step forward, we fall ten steps back. I have given up the hope that we will ever live normally again. I know the world has forgotten us; we’re too much of a burden.” — Fatmeh, a Syrian refugee who fled to Lebanon three years ago. Though the agency received 5.38 billion dollars in 2014, the continuing emergencies in Syria, Iraq and elsewhere mean that needs now far outpace available funding. From assisting an estimated 2.5 million refugees last year, limited funding has forced the organisation to scale back its operations, with the result that just 1.6 million refugees are currently receiving rations. A United Nations Development Programme (UNDP) report published in March 2015 revealed that an estimated 3.33 million refugees have fled Syria since 2014, making Syrians the second largest refugee population in the world, after the Palestinians. The cuts come at a time when Syrian refugees are spending their fourth year away from home, unable to celebrate the annual Ramadan festival, one of the most important religious occasions celebrated by Muslims worldwide. The upcoming winter may leave up to 1.7 million people without fuel, shelter, insulation and blankets. WFP is fully funded by voluntary contributions from governments, companies and private individuals. The organisation reports that its regional programme in the Middle East is currently 81 percent underfunded and requires 139 million dollars to help Syrian refugees in Jordan, Lebanon, Egypt, Turkey and Iraq through September 2015. The humanitarian funding crisis began in 2013, when the number of Syrian refugees receiving food assistance from WFP dropped by 30 percent. Food parcels were downsized in October 2014, following a WFP announcement in September that they have no funding available in December 2014 for programmes in Syria. Ertharin Cousin, executive director of WFP, appealed to the United Nations Security Council and member nations in April 2015 for more funding. A fundraising campaign in December 2014 raised enough funds for WFP to carry on its programmes through December, but in January 2015, WFP cut the amount of money in electronic food cards provided to refugees from 27 dollars to 19 dollars. Starting this month, the value fell to just 13.5 dollars. This is not the first time WFP has faced a funding crisis. In 2009, aid operations in Guatemala, Bangladesh and Kenya faced reductions in supply of food rations due to a lack of funding. In 2011, a similar situation occurred in Zimbabwe. When faced with funding shortfalls, WFP suspends programmes and only provides aid to the most vulnerable groups – pregnant women, children and the elderly. International efforts to relieve suffering caused by the Syrian crisis culminated in the Jun. 25 Regional Refugee and Resilience Plan (3RP) that called for 5.5 billion dollars to fund the needs of host governments, United Nations agencies and NGO aid operations in the area. According to the Financial Tracking Service (FTS) of the U.N. Office for the Coordination of Humanitarian Affairs (OCHA), only 25 percent of the appeal has been met. 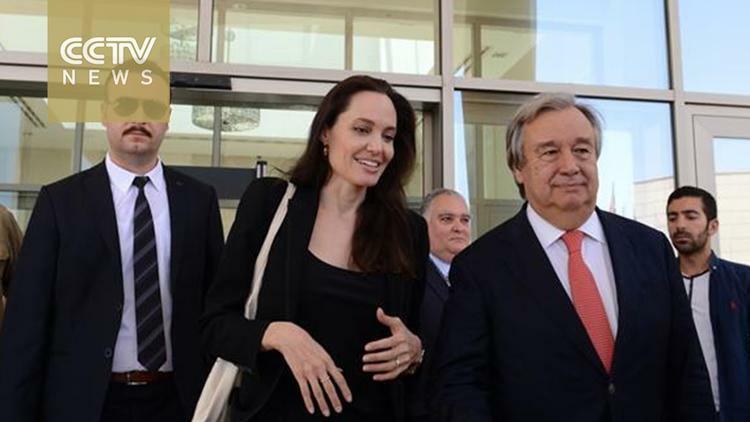 “This massive crisis requires far more solidarity and responsibility-sharing from the international community than what we have seen so far,” said U.N. High Commissioner for Refugees António Guterres in a Jun. 25 WFP press release. The United States has contributed over 609 million dollars to the effort, representing 26.4 percent of the total pledged. The United Kingdom follows behind with a contribution of over 344 million dollars. “Every time we take one step forward, we fall ten steps back. I have given up the hope that we will ever live normally again,” said Fatmeh, a refugee who fled to Lebanon three years ago, in the WFP interview. The crisis in Syria began in 2011 after security forces killed several pro-democracy protestors. Unrest followed with demands for President Bashar al-Assad’s resignation, to which he responded with violence. The situation worsened with the rise of the armed group calling itself the Islamic State in Iraq and Syria (ISIS) in northern and eastern Syria. The country became a battleground between four forces – Assad’s pro-governmental forces, Kurdish fighters, ISIS, and rebel fighters eager to overturn Assad’s regime. In the midst of the violence, Syrians are faced with a crumbling economy. The UNDP report revealed that four out of every five Syrians lived in poverty in 2014, and almost two-thirds of the population was unable to secure basic food and non-food items necessary for survival. The death toll in Syria reached 210,000 by the end of 2014, with 840,000 people wounded.